Data recorders, known as a black box are viewed by professional racers as a key method to becoming a better rider on the race track. The device captures and the software allows riders to analyze motorcycle and riding data such as road speed, corner braking, engine speed, lean angles, throttle grip position, brake status front/rear, gear, longitudinal acceleration, banking position, engine temperature, GPS position and GPS speed, ABS control range, DTC (Dynamic Traction Control) control and a number of other critical pieces of data along with the actual layout of the race track. Professional racers rely not just on gut instinct, but also on facts and figures. The data recorders act as a “virtual coach” and are precisely what helps pros further improve their riding style (line, braking and throttle points) or adjust their motorcycle to their personal riding style and adapt to the relevant race track and tires. The data can be saved and subsequently read out onto a laptop and analyzed. Even the riding line on the track can be displayed and reviewed in detail in conjunction with Google Maps using the data recorder software. But, what if your motorcycle insurer uses the data from a black box to increase your rates or have the ability to record data that can be used against you in a civil or criminal proceeding? That would never happen, right? Well, not so fast… currently, no federal law exists that clarifies the rights of vehicle owners to ownership of the recorded data. The National Highway Traffic Safety Administration (NHTSA) has issued a Notice of Proposed Rulemaking requiring black boxes in all cars manufactured after Sept. 1, 2014. The NHTSA already has disclosure requirements, but U.S. Reps. Mike Capuano (D-Mass.) and Jim Sensenbrenner (R-Wis.) are introducing the Black Box Privacy Protection Act that will protect motorcyclists rights. The bill will require dealers to prominently disclose to consumers if an event data recorder (“black box”) is installed in their motorcycle, the data collection capabilities of such a device, and how such data may be used. The bill clarifies that the owner of the motorcycle owns the data and it may not be accessed without the permission of the owner. Furthermore, the bill requires that manufacturers provide consumers with the option of controlling the recording function in future automobiles or motorcycles that are equipped with black boxes. In other words, the ability to turn the black box on or off. This bill will give consumers an even greater choice and enhanced privacy protections. 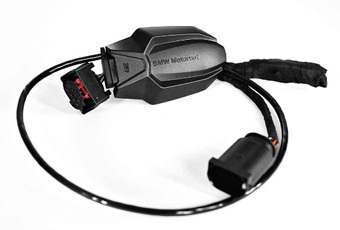 If you’re concerned how the data from a black box will be used on your motorcycle, then I urge you to contact your state representative and ask them to support the federal legislation. The American Motorcyclist Association (AMA) has made it easy to do so with a pre-populated email form letter HERE that automatically locates your state representative. Easy enough and I hope you fill out the form and forward this to your motorcycling buddies.